10/24/2018 MLGT Alum Brooks Koepka wins the The CJ Cup to rise to #1 in the world! 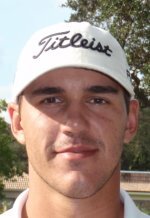 6/18/2018 2012 MLG Tour Champion Brooks Koepka wins back to back US Opens! 6/19/2017 2012 MLG Tour Champion Brooks Koepka wins the 2017 US Open by 4 shots!